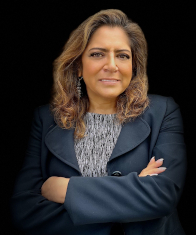 Nita Singh has led her company in providing its customers with over $200 million in savings on telecommunications-related services. Founded in 1990, ABC has a long history of specializing in the complex and ever-changing telecom industry while providing its clients with a trustworthy partner who has the experience to deliver proven results. Nita has been honored as a minority business owner by The Business Journal, as one of the "Forty Under Forty" business leaders in the Twin Cities metro area, and with a “Women in Business” award as one of the region's "Women Changemakers” in 2005. Twin Cities Business Monthly also recognized her as one of Minnesota’s "30 People to Watch in 2003." Prior to starting ABC, Nita was employed for seven years at Allnet Communications, an early pioneer in the deregulated environment that followed the break-up of the Bell System monopoly. Nita worked in various areas including customer service, credit and collections, technical support, sales and regional management. It was during this period that she realized the importance of addressing "customer-advocacy" inside an industry that appeared destined to be ever-changing.